Kingston had cricket teams. The Earl had his own team, including, of course, the Vicar, who had been a Cambridge Blue, and other local gentry; the Earl also took the four best of the village lads to play in his team. There was also a village team. Twice during the summer they would play the Earl’s team, once “at home” for the Earl on his well kept pitch out on Steart Field (above “London Doors”) and once on the village pitch up in “Rope Walk” (a field at the top of South Street, … the site of a rope-making works in earlier times). Traditionally refreshments at half time were provided by the Earl, as was a roller to keep the pitches in good order. As a young man, a little while after coming back from the war, I found myself Secretary trying to restart the Cricket Club. The Earl, and his Team, had gone; so had the roller. The Kingston Cricket Club was quite a going concern. A certain Ernest Hixson was Captain – a tricky left-hand bowler; and we had a redoubtable demon bowler in one of the Dorey family – Arthur. With a long run and a hop, skip and jump, he would deliver a ball calculated, on a rough village wicket, to strike terror into the most intrpid bastsman. Ken Orchard (son of Charley Orchard and Mrs. Orchard the postmistress) was our champion heavy-weight slogger. He used to stride up to the wicket with his bat over his shoulder, a braod assured grin on his face – a Hercules, but for the leopard skin. Fielders fell back – he took his centre – and then with every ball bowled it was “six” or “out” with him. Ken certainly didn’t believe in slow cricket – he quickly brought any match to life. We had fixtures with most of the villages round and our Kingston boys generally gave a good account of themselves. Played at Kingston on Saturday, and won by Corfe Castle by 32 runs. Scores:- Corfe, 66 (Major Woodhouse 20, Dr. Drury, not out, 18); Kingston, 34 (Jeffs 12). Loxton bowled well for the home side, and Savage and Beath for Corfe. Played at Kingston on Saturday, and resulted in an easy win for the home team by 79 runs. Batting first Corfe Castle made a bad start, and lost five wickets for 28 runs, the total reaching 84 (Colonel Strange 31). The home team made a good reply, the first wicket putting on 35 runs, and the Corfe total was passed with five wickets in hand, the total eventually reaching 163, the last wicket putting on 38 runs (G. Travers 41, Loxton 22, Hixson 20). For Kingston Hunt took four wickets for 18 and Hixson three for 18. The most successful bowler for Corfe was the Rev. F. Corfield, with five for 49. By 47 runs (33-80) Kingston beat Corfe Castle on the latter’s ground. G. Travers (3-8), C. Dorey (4-12), and E. Hixson (3-11) were responsible for Corfe’s dismissal, whilst the chief scorers for the winners were W. Stickland (21), K. Orchard (18), Travers (12), and F. Cooper (10). Five Corfe bowlers shared the wickets – Stockley (2-5), Fooks (3-23), D. Cooper (2-16), P. Crofts (2-20), and K. Greenstock (1-10). 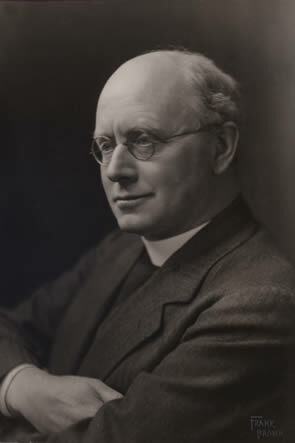 Frederick Seymour Horan, known to his family as Seymour, was the Vicar of Kingston from 1932 to 1938. A year after arriving at Kingston, he married his second wife ‘Muriel’. He was aged 68 at the completion of his incumbency, after which Seymour and Muriel lived at Lobster Close, Worth and later at Ballard Estate near Studland. Seymour died in 1956 aged 85 and Muriel died in 1969 aged 81. Seymour was born in Edinburgh in 1870. His parents were Thomas Horan and Isabella Mary Louisa de Fabeck who married in India in 1861. At that time Thomas was a Captain in the 43rd Foot (Monmouthshire) Light Infantry. By 1896, his rank in the 43rd Regiment was Lieutenant Colonel. London, July 3 – The annual athletic games between Oxford and Cambridge universities began at the Queen’s club grounds at 4:30 P.M. To-day. The prospects of an international contest between the winning team of to-day and a team representing Yale university has greatly increased the interest taken in the meeting. The one-quarter mile run was won by W. Fitzherbert, Cambridge in 50 seconds. Jordan, Oxford, won the 100 yards dash. Time 10 seconds. The running broad jump was won by Mendelsohn of Cambridge, who covered 22 feet, 4½ inches. Watson, Cambridge, won the weight putting contest with 37 feet 9 inches. In throwing the hammer, G. B. Robertson, Oxford, won with 116 feet 7 inches. The score thus stands four firsts for Oxford and four firsts for Cambridge. The three mile run was won by F. S. Horan of Cambridge, who thus secured the victory for his university. The time was 14 minutes 50 2-5 seconds. The score at the end of the games stood Cambridge, five firsts;: Oxford, four firsts. Frederick Seymour Horan, who will represent Cambridge in the half-mile run and the races at the longer distances, is the President of the Cambridge University Athletic Club, and one of the oldest men on the team. During his three years’ residence at Cambridge, he has taken part in thirty-two matches, of which number he won twenty-two, was second four times, and third on three occasions. His forte is long-distance running, and he holds the record for three miles for the Inter-’Varsity games, (14:44 3-5,) and the Cambridge record for the same distance (14:45 4-5). He also holds the Cambridge two mile record of 9:43 4-5. Mr. Horan is a son of the late Lieut. Col. T. Horan of the Forty-third Light Infantry, and was born at Edinburgh on Aug. 27, 1870, so that he attained his twenty-fifth birthday on the day the team sailed for this country. While but a lad at preparatory school at Wellington Horan distinguished himself as an all-round athlete, winning the two-mile run three years, the one-mile two years, and the Kingsley Steeplechase, (founded by Charles Kingsley). Having laid the foundation of his literary and athletic fame, Mr. Horan decided to see something of the world, and sailed for India, where he remained for some time. Once more in the old country, he decided to go in for holy orders, and with that object in view he entered Trinity Hall, where he soon gained wide popularity. He was induced to visit the running track, and though his friends assert he was more keen on his cricket ‘Blue’, he never stood much chance for it, though in the freshmen’s match he made 133. He matriculated in October, 1892, so that he still has another year in which to dwell in ‘Cambridge Courts’. Regret is general that the ‘Varsity will know him no more, as he is shortly to be ordained, and is spoken of as the future Private Chaplain to the Bishop of Ripon. Once resident at Cambridge it was apparent that despite Mr. Lutyen’s wonderful running, Mr. Horan was by far the best runner at all distances that ever went up to the ‘Varsity games. Indeed, no Oxford or Cambridge man ever ran the three miles inside of 15:00, yet Mr. Horan has on half a dozen different occasions beaten those figures. He has reeled off the mile well inside 4:23 and this year finished second in the British Amateur Championship to E.C. Bredin. His best quarter is 0:51 2-5; half-mile, (at Cambridge) 1:58; two-miles, 9:43 4-5, and three miles, 14:44 3-5. Horan is a man of charming character, earnest and much esteemed. He got his college cricket colours, and was on the Hall Rugby football fifteen. He used to ride the bicycle until induced by the athletic authorities to forsake the machine, and lately when not reading, he has taken on lawn tennis. He obtained a First Class on both parts of the theological special. Cambridge will follow Mr. Horan’s doings in America with deep interest, and the regret is keen that he will not have an opportunity of showing the Yale ‘boys’ how to run three miles. The dinner given at Sherry’s last night by the Yale Alumni Association in honor of the Cambridge athletes was a rousing success and fitly closed the series of international contests. Even if the British athletes were defeated on the field, they were not allowed to forget that they were honored guests and entitled to an American ‘send-off’. The big ballroom at Sherry’s was tastefully decorated with the Stars and Stripes, the union jack, the light blue of Cambridge, and the dark blue of Yale. When the dinner began at 8.30 o’clock, there were about 200 persons present. Judge Henry E. Howland, President of the Yale Alumni Association, presided. Capt. Horan of the English team, when he was called upon, was greeted with enthusiastic cheers. In the name of the Cambridge men he thanked the Yale students and athletes for the fine welcome and kind treatment that had been accorded his team while in this country. He thanked Judge Howland, too, for his pleasant remarks. Capt. Horan said that he believed in team work, and he believed in international contests. He hoped on behalf of Cambridge to see the Yale men in England next year. His team would not forget Sept. 21 and Oct. 5. Held the world record for the Three Mile Race. Arthur married Isabel Margaret Gilchrist (1884-1957) at Westminster in 1909 and they had two sons Lennox William Napier (1912-2001), a submarine commander, and John Morrilyon Napier (1915-1941) both born at Kingston. Sadly John, who had been awarded the Military Cross, was killed in action in Libya during World War 2. Arthur retired to Boldre Hill, Lymington, Hampshire. Raymond was the son of Nathaniel Bond of Creech and Lady Selina Jane Bond neé Scott, daughter of John Scott, Third Earl of Eldon. He was educated at Eton and Trinity Hall, Cambridge. He married Mildred Glyn (1874-1963) at Wincanton, Somerset on 4 October 1899. Raymond and Mildred had two children Ashley Raymond Bond (1902-1975) and Margaret Selina Bond (1908-1984). 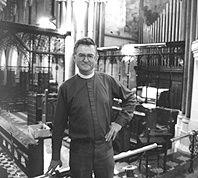 Immediately prior to arriving at Kingston, Raymond had been Rector at Blandford Forum, Dorset. Raymond left Kingston in 1927 to become Vicar at Iwerne Minster, Dorset. He died in 1941. Married to second wife Eileen. Left to become Rector at Foot’s Cray, Sidcup, Kent. Subsequently moved to Kincardine O’Neil. 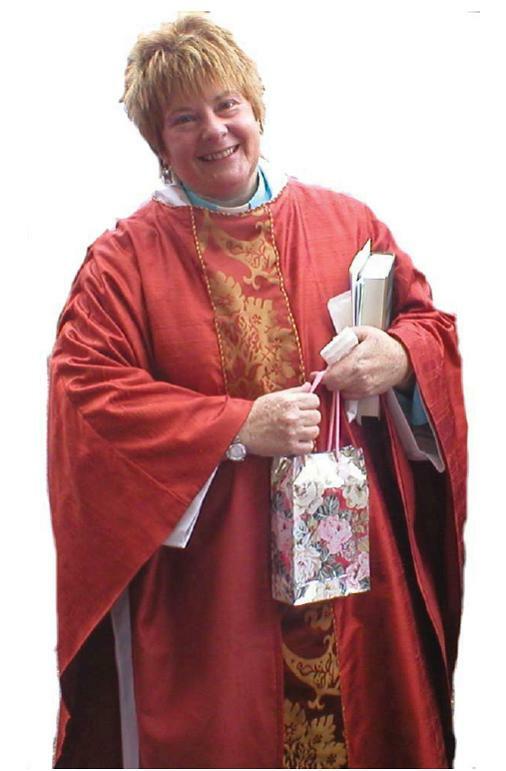 Came to Kingston from Paignton where ha had been Assistant Priest. Married Maidie in 1945 and had two sons Adrian and Christopher. Subsequently moved to Presteigne, Powys. Now retired. Married Louise in 1982 and had three daughters. Died 4 Aug 2004 aged 59 – buried at Kingston St. James (new church). Married to Ken with two sons David and Jonathan, and a daughter Rebecca. Moved to Redhill, Wrington, Somerset as Assistant Priest. Moved to Grosmont, Monmouthshire, Wales as Rector. If you have any further information, memories, photographs etc. about any of the clergy who have served at Kingston then please contact us. Three former vicars of Kingston (Corfe Castle) attended the funeral service at St. James’ Church, on Saturday afternoon, of Mr. Gilbert Victor Dorey, who for over 30 years had been organist at the church. The interior of the building which deceased knew and loved so well, still bore its Christmas decorations, as the coffin, borne by four senior employees (Messrs. Gerald Loxton, Charlie Orchard, George Hunt and Jesse Marsh), of the Encombe Estate, was carried into the church, the cortege being preceded by the choir, with the congregation joining in the hymn, “Peace, perfect peace.” As the cortege left the church the “Nunc Dimittis” was chanted. The Vicar (the Rev. M. de Burgh Scott) conducted the service, assisted by the Rev. F. S. Horan (the former vicar). Mr. Charles Pond was at the organ. The principal mourners were the widow, Mrs. C. Clark, Mrs. G. Randall, Mrs. E. Brake, and Mrs. W. Neale (sisters), Mr. A. Dorey and Mr. R. Dorey (brothers), Mr. C. Dorey, Mr. W. Randall, Mr. and Mrs. P. Hann, and Miss O. Dorey (nephews and nieces), Mr. G. Dorey, Mr. and Mrs. E. Dorey, and Mrs. W. Smith (cousins). Mrs. F. Dorey, Mrs. A. S. Dorey, Mrs. A. Dorey, Mrs. W. Dorey, and Miss Jukes (sisters-in-law), Mr. and Mrs. F. Cooper, Mr. and Mrs. L. Turner, Mr. J. Marsh, and Mr. and Mrs. Donald Barnes. Mr. W. Dorey (eldest brother) was unable to attend owing to illness. 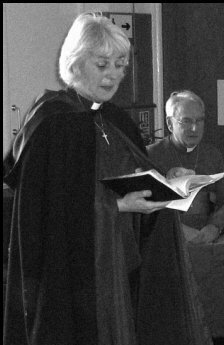 Included among those present in the church were Archdeacon Smith and the Rev. Raymond A. Bond (former vicars), Mrs. M. de B. Scott, Mrs. F. S. Horan, Mrs. Raymond A. Bond, Mrs. Fenwick-Owen, Captain J. Docrwa Rogers, Mr. Walter E. Candy (agent to the Encombe Estate), and Mr. E. A. Hixson, together with many estate employees and villagers. The large number of wreaths included tributes from the bellringers, choirmen, boys and girls, and sidesmen of St. James’ Church, Kingston, Mr. W. E. Candy (agent), and Messrs. Hixson, Loxton, Gale, and Marsh (senior employees), Estate and farm employees, Kingston ex-Service men and Kingston Women’s Institute. The beautiful floral tokens included the following:- In ever-loving memory of my darling Husband, from his sorrowing Wife; Cecil and Ron (sons); Charlotte and family; Bessie and family; Jennie and Ernest; Lou and George (Canada); Mabel and Will and Phillip; Walt, Gert, and Marjorie; Alf, Rose, Fred, and Iris; Bob, Bet, Grace, and Betty; Art, Irene, Olive (nephew and nieces); Annie, Agnes, and family, Charlie, Kath, Michael; Lot, George, Nance, Ern and Rose, and Amy (cousins); Alice (sister-in-law); Ben, Fred, and Frank (brother-in-law and nephews); Walt and Ern (brother-in-law and sister); Bert and family (brother-in-law and sister); Vicar and Mrs. Scott; Rev. Raymond and Mrs. Bond and Miss Margaret; Mr. and Mrs. A. Cooper and family; Mr. and Mrs. W. Stickland; ”Eldon Arms,” Kingston; Mr. and Mrs. F. Tatchell; Mrs. Allen, Corfe Castle; Mr. and Mrs. P. Damer and Nellie; Mrs. N. Phillips; Mr. and Mrs. D. Barnes; Rhoda and Will; Ronald and Hubert; Jack. Mrs. Dorey and family sincerely thank the many friends who have expressed sympathy and sent floral tributes in their bereavement. The late Mr. Dorey passed away at his home, 3, West-street, Kingston on Tuesday, after a fairly long period of ill-health, although his last illness was of short duration. Aged 51 years, he was a native of the village, and throughout the whole of his working life had been employed on the Encombe Estate. As far as the communal spirit of the village was concerned Mr. Dorey was one of the greatest stalwarts. His greatest interest was in the church, which he served faithfully for 44 years, as choirboy from the age of seven and upwards of 30 years as organist and choirmaster. He also lent a hand at bell-ringing, and at times he rang regularly for fairly long periods, in spite of the calls made upon his time by other church duties. As a tribute to his memory the bells were rung half-muffled following the committal on Saturday afternoon. A keen musician deceased could play a number of instruments and for many years was one of the leading members of the Kingston Village Band. He was also interested in the many social functions which have produced such a happy village life at Kingston, and he was ever ready to lend a hand in whatever direction the call was made. Only a fortnight before his death he took part in a play in the village hall, while it may be recalled that just 12 months before his passing – on December 26th 1937 – he was one of the Kingston Players taking part in Thos. Hardy’s “The Three Strangers,” broadcast by the B.B.C. Mr. Dorey leaves a widow and two sons aged 13 and 9, with whom much sympathy is felt. The funeral of Lady Margaret Rachel Hamilton-Russell took place yesterday at Kingston, Corfe Castle. The service at St. James’ church was taken by the Rev. F.S. Horan, and the Dean of Windsor officiated at the committal. Among those present were: The Hon. Sir Ernest Stowell Scott, the Hon. Osmund Scott, the Hon. Denys Scott, and the Hon. Michael Scott (brothers), Lady Louisa Longley (sister) and Mr. J. Longley, Viscount and Viscountess Boyne, the Hon. Claud and Mrs. Hamilton-Russell, the Hon. Arthur Hamilton-Russell, the Hon. Eustace and Mrs. Hamilton-Russell, and the Hon. Florence Hamilton-Russell (brothers-in-law and sisters-in-law), the Earl of Eldon (nephew), Lord Cottesloe, Mr. J.W.G. Bond, the Rev. R.A. and Mrs. Bond, Mr. Ivo Bond, Mr. and Mrs. Walter Bond, Mr. G.C. May, Major Charles H. May, Lady Hambro, Major R.C. Mansel, Mr. W.E. Candy, and a large number of villagers and employees on the Encombe estate.